Cashflow is the lifeblood of any business and the need to maximise recovery of your legal costs has never been greater than it is now. 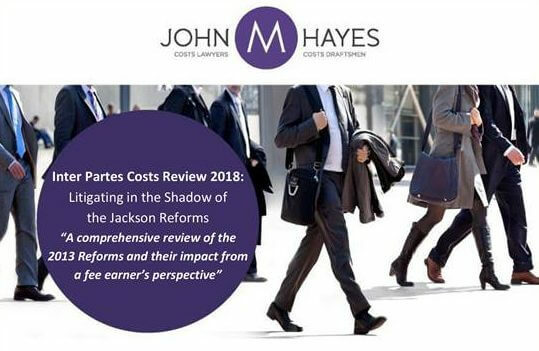 Since 1985 The John M Hayes Partnership has been working in tandem with solicitors to maximise costs recovery. Join us at Garden Court North Chambers this May as we consider the impact of the Jackson Reforms and how the courts have handled the multitude of uncertainties arising therefrom. The seminar will offer fee earners a pragmatic insight into the assessment process so that, crucially now more than ever, litigators can litigate with costs in mind. To book a place, please email deborah.jones@johnmhayes.co.uk.